AKIPRESS.COM - On Friday, November 13, S. Erdene, the head of the Mongolian Labor Union "Solidarity" (Ev Sanaany Negdel) called a press conference to discuss a recent change in contract for workers at Mongolia’s Tavan Tolgoi mine, one of the largest coal mines in the world. After delivering his remarks, S. Erdene doused himself in flammable liquid and lit himself on fire. Nearly half of his body was burned before onlookers were able to extinguish the fire, openDemocracy recalls. Before his act of self-immolation, S. Erdene argued that Mongolia is selling its people to a foreign nation, and proclaimed, “If they want us to burn, I’ll burn.” S. Erdene’s statements refer to Tavan Tolgoi’s decision to transfer the contracts of 200 workers to the Chinese company, TTJVCO, in order to reduce operation costs. Mining layoffs have been all too common in Mongolia in recent years, with copper mining megaproject Oyu Tolgoi laying off approximately 2,000 people in 2013. 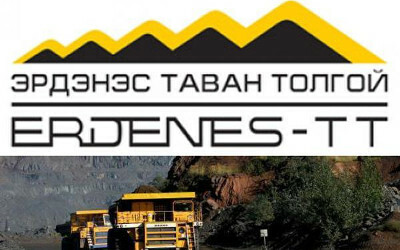 Despite assurances from Tavan Tolgoi, employees worried that they would be laid off shortly after the contract transfer or would endure far worse working conditions than those to which they are accustomed. Miners staged multiple protests before S. Erdene resorted to his dire actions. S. Erdene’s actions, while extreme, reflect a growing tension about mining that is palpable throughout Mongolia. Over 90% of Mongolia’s exports come from extractive exports, primarily coal and copper. As a result, from 2009 to 2013, the country flourished as the mining sector opened up to foreign investors. In 2011, Mongolia was the fastest-growing economy in the world, its economy expanding at a rate of 17.5%, nearly twice as fast as China’s. However, as of this most recent financial quarter, Mongolia’s growth slowed to a staggering 2.5%. Growth in Mongolia has slowed so drastically because of the country’s dependency on both mining exports and the corollary domestic market that mining creates. A decrease in mining activity means that mining companies will immediately require fewer buildings to be constructed, fewer uniforms to be sewn, and fewer meals to be catered; but when a country is so thoroughly dependent on its mining economy, a decline in growth also means that the domestic market will suffer. In good economic times, Mongolians wealthy from their work in mining have disposable income that fuels myriad industries from real estate to entertainment to demand for luxury items such as cashmere or leather. In a down economy like Mongolia’s today, many businesses are forced to close their doors, and people who were once flourishing are now struggling to get by. Mongolia’s mining sector has declined for three major reasons. First, coal and copper prices are down the world over, having fallen 20-30% in the past year alone. Coal prices have hit a 12-year low, causing mining company budgets to shrink and forcing layoffs. In the United States, for example, the demand for coal has slowed as the country has relied increasingly on other forms of energy – such as renewables and natural gas – leaving coal miners in the country’s Appalachian region out of work. Perhaps the largest lay-offs have come in China, where this fall Heilongjiang Longmay Mining Holding Group let 100,000 workers go in a single mass lay-off. Mongolia’s mining economy is also in decline because of China’s slowed economic growth and Mongolia’s reliance on this single export market. An estimated 86-90% of exports from land-locked Mongolia are sold to neighboring China. As China’s growth has slowed, its demand for imports has fallen sharply – import values for October of this year were 19% less than the same period last year. Mongolia’s near-singular reliance on Chinese demand has contributed to an already difficult economic situation. Finally, the mining boom has caused a fierce sense of resource nationalism in many Mongolians because of the environmental degradation, disruption to nomadic culture, and the boom and bust economics oftentimes caused by mining. Mongolian domestic politics have responded to this restlessness, fostering what investors describe as an unstable political climate. Some are leery to invest because they cannot be sure that the policies of today will be the policies of tomorrow. Mining company Rio Tinto’s two-year contract dispute with the Mongolian government put many investors off from exploring this emerging market. However, after recently having come to an agreement to begin developing Rio Tinto’s Oyu Tolgoi underground project, Mongolian Prime Minister Chimed Saikhanbileg has declared, “Mongolia is back to business,” and there is optimism that protracted contract battles are a thing of the past.